Feathers are replaced periodically. A new feather is produced by the same follicle; it is the initiation of this new growth that normally â€˜pushes the old feather outâ€™. Keratinisation and pigmentation of the feather. 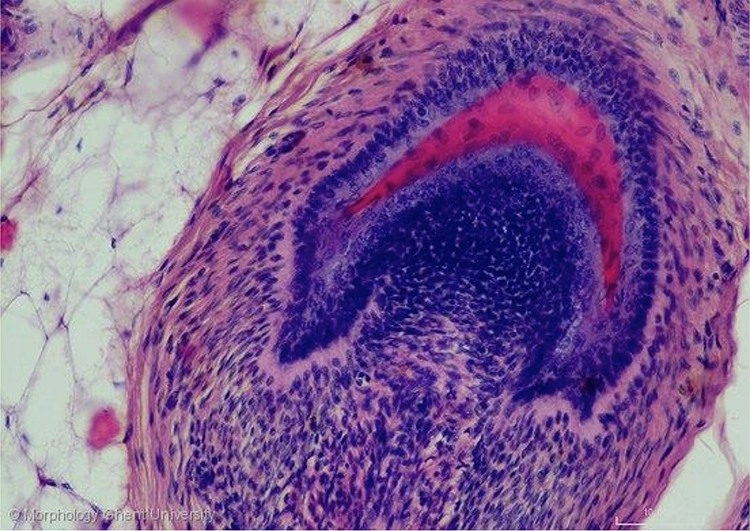 At the micrograph above, the blastema is just becoming active: regeneration of a new feather has begun with the lengthening of the dermal papilla. In the epidermal collar, a basilar and intermediate layer can be differentiated from each other.